The following are the latest results contributed by HM Courts Service, for cases sentenced by West Sussex Magistrates’ Court sitting at Worthing from December 29, 2017, to January 4, 2018. Daniel Lewis, 35, of Hampshire Avenue, Bognor Regis, was given a community order and must carry out 100 hours’ unpaid work after admitting jointly stealing generators from Bovis Homes, Worthing, on March 14, 2017. He must pay £85 victim surcharge, £85 costs. 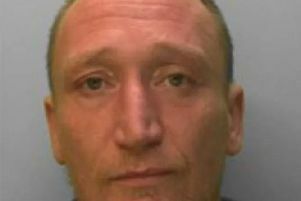 Aivars Balceris, 42, of Boundstone Close, Lancing, was discharged conditionally for 12 months and must pay £20 victim surcharge, £85 costs, after admitting assault by beating in Lancing on December 10, 2017. Jack Brett, 25, of Solway Close, Littlehampton, was fined £173 and must pay £50 compensation, £30 victim surcharge, £85 costs, after admitting assault by beating in Chichester on December 9, 2017. He must also pay £50 compensation for a second charge of assault by beating in Chichester on December 9, 2017, no separate penalty. Anthony Cornford, 28, of The Avenue, Goring, was given a community order with Rehabilitation Activity Requirement and must pay £85 victim surcharge, after admitting stealing nine bottles of wine and a Kit Kat worth a total of £55.87 from Iceland, Worthing, on December 8, 2017. Amy Jarvis, 30, of Norfolk House, Chapel Road, Worthing, was discharged conditionally for 12 months and must pay £50 compensation, £20 victim surcharge, £50 costs, after admitting assaulting a police constable at Worthing Custody Centre on December 9, 2017. Katheryn Manktelow, 20, of Chesswood Road, Worthing, was fined £85 and must pay £30 victim surcharge, £85 costs, after admitting drink-driving (89mg of alcohol in 100ml of blood) in Park Road, Worthing, on June 17, 2017. She was disqualified from driving for 12 months. Anton Owens, 29, of Penlands Way, Steyning, was fined £650 and must pay £65 victim surcharge, £85 costs, after admitting drink-driving (59mg of alcohol in 100ml of breath) on the A283 Bramber on December 8, 2017. He was disqualified from driving for 36 months. Natalie Smith, 22, of Hythe Road, Worthing, was fined £265 and must pay £30 victim surcharge, £85 costs, after admitting drink-driving (50mg of alcohol in 100ml of breath) in Brighton Road, Lancing, on December 9, 2017. She was disqualified from driving for 12 months. Alice Walker, 43, of Ryelands Drive, Brighton, was fined £55 and must pay £30 victim surcharge, £85 costs, after admitting stealing clothing worth £611 from Marks and Spencer, Shoreham, on December 14, 2017. Susan Elderfield, 52, of Harbour Way, Shoreham Beach, was fined £300 and must pay £30 victim surcharge, £85 costs, after admitting drink-driving (79mg of alcohol in 100ml of breath) in Harbour Way, Shoreham Beach, on December 16, 2017. She was disqualified from driving for 17 months. Rowan Harmer, 22, of The Florets, Hyde Street, Upper Beeding, was fined £230 and must pay £30 victim surcharge, £85 costs, after admitting drink-driving (56mg of alcohol in 100ml of breath) on the A283 Steyning on December 17, 2017. He was disqualified from driving for 12 months. He was also fined £230 after admitting driving without insurance. Jillian Miller, 69, of Henfield Road, Small Dole, was fined £250 and must pay £30 victim surcharge, £85 costs, after admitting drink-driving (86mg of alcohol in 100ml of breath) in Pound Lane, Upper Beeding, on December 16, 2017. She was disqualified from driving for 17 months. Crystal Page, 27, of Daniel Close, Lancing, was fined £120 and must pay £30 victim surcharge, £85 costs, after admitting drink-driving (50mg of alcohol in 100ml of breath) in Daniel Close, Lancing, on December 17, 2017. She was disqualified from driving for 12 months. Jack Wells, 31, of Rother Crescent, Gossops Green, was given a community order with Building Better Relationships programme requirement and must carry out 80 hours’ unpaid work after admitting assault by beating in Worthing on December 16, 2017. He was also given a restraining order and must pay £100 compensation, £85 victim surcharge. Louise Hathaway, 44, of Arcade Road, Littlehampton, was given a 16-week prison sentence, suspended for 12 months, with Rehabilitation Activity Requirement after admitting ringing the police on 999 six times and on 101 six times between November 23, 2017, and December 12, 2017, without reasonable excuse, breaching a criminal behaviour order. She must pay £115 victim surcharge, £85 costs. She also admitted breaching a suspended sentence order, which was amended by extending it by six months. Craig Smith, 35, of Cohen Close, Aldingbourne, was fined £400 and must pay £40 victim surcharge, £85 costs, after admitting drink-driving (50mg of alcohol in 100ml of breath) in Sompting Road, Worthing, on December 16, 2017. He must pay £40 victim surcharge, £85 costs, and was disqualified from driving for 12 months. Trevor Kelly, 36, of South View, East Preston, was fined £380 and must pay £38 victim surcharge, £85 costs, after admitting drink-driving (75mg of alcohol in 100ml of breath) in Richmond Road, Worthing, on November 25, 2017. He was disqualified from driving for 17 months.